I used to hate answering questions in class. I mean what if I got it wrong or what if I didn’t say it right? Nope, too many risks. Instead of answering questions I would try to look very intently at the teacher. That way I could let them know, that I knew, but that I couldn’t answer. Yah, that never worked. When people describe me, assertive is the last word they use. This has cost me a lot, both professionally and personally. Hopefully, you can learn from some of my mistakes. 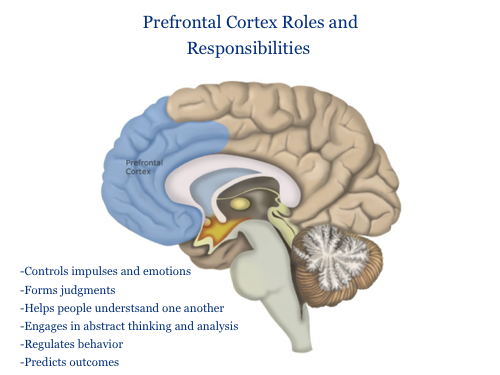 Because the prefrontal cortex develops during adolescence, how assertive you are in life is also largely determined at this point. It is heavily influenced by the experiences you had early in life. Assertiveness has been linked to the neurotransmitter dopamine. Dopamine, helps to control the brains reward and pleasure center, among a myriad of other things. Assertiveness is a goal directed behavior, meaning you utilize it in order to achieve something you view as desirable. This ties into the motivation and reward centers of your brain, which dopamine plays a huge role in. 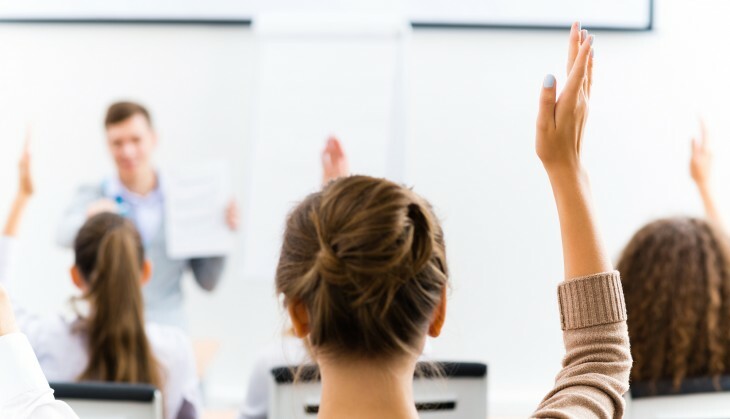 But what’s so useful about being assertive? Perhaps because of my proclivity towards introversion, socialization, or any number of other variables, I grew up believing that assertiveness was not a desirable trait. I didn’t want anyone to think I was pushy or domineering, so instead I just became extremely passive. Being too passive can make you feel powerless. If you don’t speak up for yourself, refuse to make decisions, or let others dictate your actions—well, that takes away your feelings of autonomy. It can make you feel like you are in less control of your ability to control outcomes and that’s not good for self-confidence. I find that my passivity seeps into everything I do. I apologize for everything, even though I don’t always know what I’m apologizing for. This can cause people to view you as a pushover or someone who lacks in confidence, neither of these are exactly what one would call desirable. Aggressive individuals tend to appear as unapproachable and even hostile by their peers. Think of this as the “my way or the highway” approach to communication. While you may end up getting what you want, it reaps havoc on interpersonal relationships. Where does aggressiveness come from? Well, like passivity, a lot of it has to do with early life experiences. “Individuals who were emotionally scarred by verbal aggression and hostility at a young age tend to demonstrate similar behaviors later in life. ” —Andrew S. Rancer Ph.D. Even if you are assertive and things still don’t go ‘your way’ the benefits of sticking up for yourself remain. No, you can’t always get exactly what you want, but you can make you wants and needs known. People base their assertiveness on what they perceive the intended outcomes to be. That’s tricky, because we are such poor judges of how assertive we are, it can make it difficult for us to determine what the optimal assertive point is. We exaggerate others disappointment and the offense we imagine they have to messages we are sending them. Assertiveness isn’t just about what you say, it’s an entire range of verbal and non-verbal communication. I know I’m passive. This awareness, didn’t come overnight, I had to look back on a lot of my past behavior to come to that conclusion. Are you able to say, “no” when you don’t want to do something? Admitting that you might be passive or too aggressive, isn’t exactly a proud moment, but it’s a neccessary first step in becoming more assertive. I find being passive to be much easier than being assertive, but knowing this gives me the power to change it. It can be easy to put the blame on others, even when you don’t necessarily mean to. Using the word “you” when making your point, tends to come off as accusatory. As a self-protection mechanism, people tend to close off and distance themselves when they believe they are being accused. To prevent this you can use “I” messaging. Feelings: Tell others how you feel using the word “I”. Okay, so most of us don’t talk like this. The point of this is to get you to think about how to phrase your feelings in a more direct manner. I have to constantly be reminded to stop apologizing for everything. I have to remind myself that answering the telephone isn’t a contractual obligation and I shouldn’t feel sorry for not being available 24/7. Like anything else in your life you want to improve at, practice is necessary. Rehearse and Role Play: Practice in front of a mirror, practice out loud or do it in your head, just get comfortable with using assertive language and gestures. Once you are comfortable using this language with yourself, try using it with a friend. 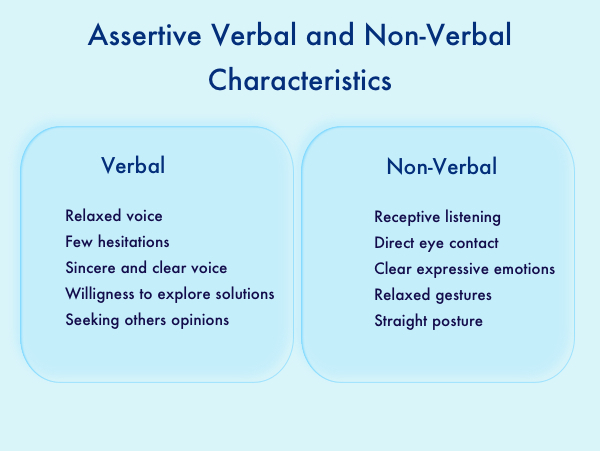 It’s easy to be assertive in your head but getting comfortable with using assertive language can take some time. Start small: For me, being assertive means ordering my own food at dinner. 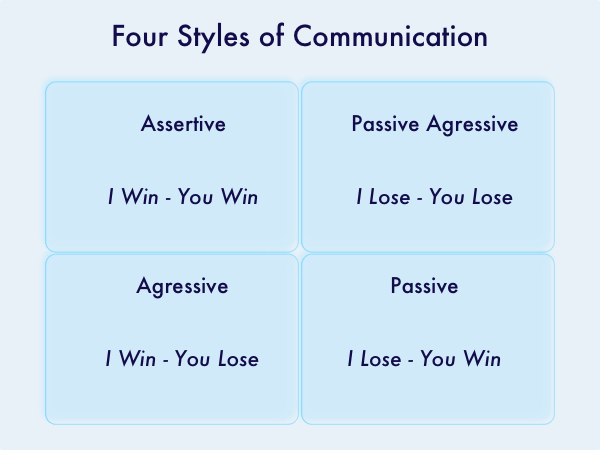 It sounds really silly, but it is a low-risk test that I can use to practice being assertive. Identify real life situations where you can work on being assertive, try giving praise to a coworker or tell a friend about an experience you have had. Take some time to identify what you did well and what behaviors might still need some work. This isn’t about completely forgoing everything that makes you, well… you. It’s about identifying ways to communicate your “you” more effectively. I remember the day I finally worked up the courage to answer a question in class. My face turned red, I started sweating, and you know what I didn’t die? It felt good to answer that question. From then on, it made answering questions a little better. Being assertive is never easy for me, but I am learning. Assertiveness isn’t going to solve all your problems and it’s not appropriate for every situation—context is key. What it will do, is help you feel more confident and communicate more effectively when you need to. Expressing your true self and sticking up for your rights is empowering and it’s something that the majority of us, should do a lot more.